Beginning in July of 2017, Equifax, Experian and TransUnion will no longer include records of tax liens and/or civil judgments if there are not at least three identifiers: name, address and either social security number or date of birth. Most liens and judgments do no include all three or four identifiers, so this will most likely lead to an increase in credit score for those individuals that previously had liens and/or judgments on their credit reports. Thus they may soon appear more credit worthy to lenders. The Mayor of Washington, D.C., Muriel Bowser, recently proposed a plan to wipe clean the arrest records of people who were not later convicted. Her plan joins a number of "second chance" or "clean slate" bills proposed in the U.S. Effective March 14, 2016, Employers in the City of Philadelphia will no longer be able to ask job candidates questions about previous criminal convictions or to conduct a criminal background check until after a conditional offer of employment is made. The updated ordinance also specifically prohibits the use of a form that includes a question regarding criminal convictions - even if it instructs the candidates not to answer until after an offer of employment is made. 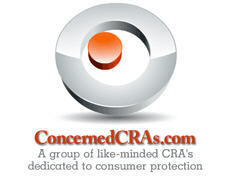 The Consumer Financial Protection Bureau recently updated the FCRA Summary of Rights document.